Charles Lenox, Victorian gentleman and armchair explorer, likes nothing more than to relax in his private study with a cup of tea, a roaring fire and a good book. 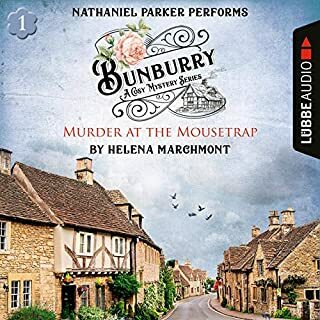 But when his lifelong friend Lady Jane asks for his help, Lenox cannot resist the chance to unravel a mystery. Prudence Smith, one of Jane's former servants, is dead of an apparent suicide. But Lenox suspects something far more sinister: murder, by a rare and deadly poison. 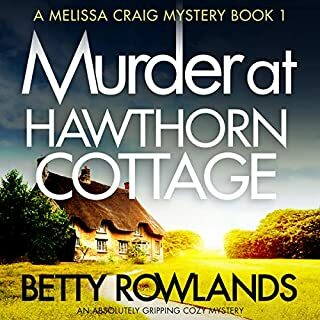 The grand house where the girl worked is full of suspects, and though Prue had dabbled with the hearts of more than a few men, Lenox is baffled by the motive for the girl's death. 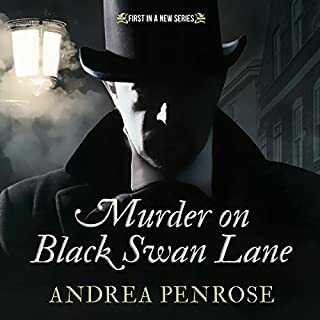 When another body turns up during the London season's most fashionable ball, Lenox must untangle a web of loyalties and animosities. Was it jealousy that killed Prudence Smith? Or was it something else entirely? And can Lenox find the answer before the killer strikes again---this time, disturbingly close to home? 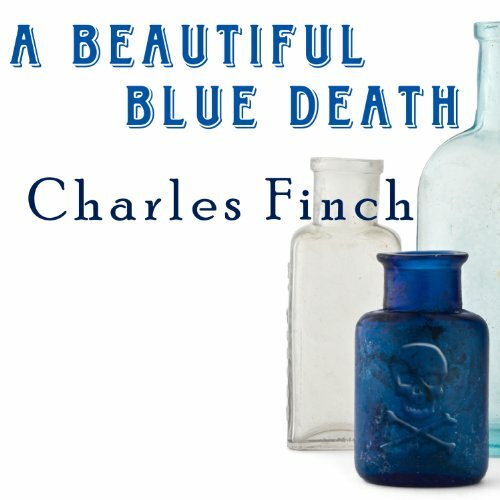 Would you consider the audio edition of A Beautiful Blue Death to be better than the print version? I wouldn't say on the edge of my seat, but I always wanted to see what would happen next. I thinks the budding romance scenes. I enjoy the old fashioned purity where love is slow to be realized and strong emotional urges are held in check. People say its "cozy" like it's a bad thing. I truly enjoyed this book and I am about ready to download the next one. Enjoyed it. I originally got a few Lennox mysteries out of order. I am now listening to all of them in order. If you like old-fashioned detective work a la Holmes, with likable characters and darned good stories, this is a good series. If you want an exciting thriller, this isn't it. Well-written, well narrated, set in time to when if one wanted to tell a person something, they sent someone with a note or went to see that person, often in a carriage pulled by horse. If you like Holmesian deductive reasoning and intelligent solving of mysteries, go for it. I've now read two of them. They are cosies, kind of, but very well done ones. Entertaining ! And the narrator was fabulous. Loved this book. Fun, entertaining, and the narrator was in my opinion, excellent. Mr. Finch and Mr. Langton have a new and loyal fan. Not very exciting to read. No, but I completed it. There were so many characters in the book and I had trouble keeping them straight in an audio format. 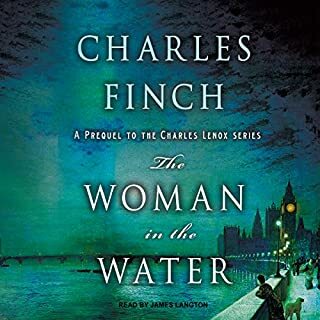 If you’ve listened to books by Charles Finch before, how does this one compare? I do not recall any previous books. What does James Langton bring to the story that you wouldn’t experience if you just read the book? James Langton did a very fine job with this British story. There was no problem with the narration. Could you see A Beautiful Blue Death being made into a movie or a TV series? Who should the stars be? May a BBC version for PBS, at best. The story is flat. I was glad it was over. passable plot, good ideas for characters and a series, but poorly executed with tedious dialogue and clunky exposition. Where was the book company's editor? Would you listen to A Beautiful Blue Death again? Why? Absolutely. 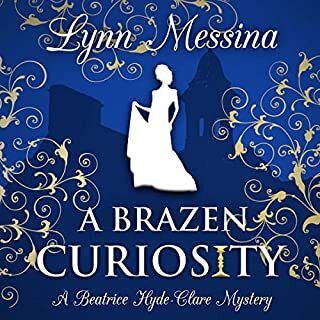 I loved the narration, the characters & getting transported to this Victorian mystery that's set in an old world British society. I liked that the solution was not obvious. As a reader I really had to work to figure out who did it, it yet all the pieces to the puzzle were given to us. At the end when we (the readers) get the play by play of how it all happened, it was laid out so well that there were no loose ends. What about James Langton’s performance did you like? 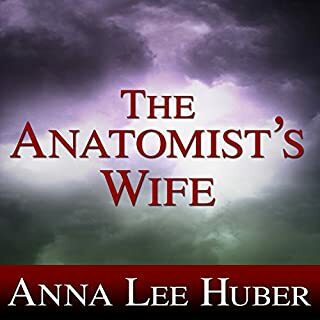 This book is a moderately diverting tale set in Victorian London. Its hero is an aristocratic sleuth, who is all intelligence, kindness and insight. These qualities are counterbalanced by...nothing. He is an extraordinarily tepid character, carrying on a barely perceptible courtship with an equally intelligent and pallid aristocratic widow. Blood hardly seems to flow in their veins. They have money and position and time, none of which is at stake, so they spend all three in the service of solving the troubles of the lower orders. Would you try another book from Charles Finch and/or James Langton? James Langton is fantastic. I actually found this book through his work in the Inspector Banks series. I love his work and will look for others by him. Mr. Finch, sorry but no. The story was very dull and none of the characters were all that interesting. The story is ridiculous from the beginning. A lowly maid apparently commits suicide, but her former employer, a very respectable Lady, insists on having her death investigated. He simply brings the characters to life and is true to their origins. Did A Beautiful Blue Death inspire you to do anything? Yes to go back and listen to several of Anne Perry's Inspector Pitt novels. That was regency mystery done right. The Upstairs/Downstairs mentality and the firm distinction in roles during that time period. This character driven mystery is charming; description of place and time are very good. The narrator, however, detracts from the story, particularly in the voice of Charles Lenox. He sounds supercilious, and flippant. I find this in contrast to the character's actual words. Nonetheless, I've bought the next 2.